Sarah is passionate about approaching mental health from a holistic perspective. She has worked with children, adolescents, adults, couples and families in community, school, corporate EAP, and private practice settings. Through this experience, Sarah has focused her practice on treatment with adolescents (13 years +) and adults, with a special interest in recovery from trauma. Sarah believes that therapy provides an opportunity for profound positive change through understanding and examining our experiences more deeply. Through her training in Counselling Psychology, Sarah places a strong emphasis on the importance of the therapeutic relationship, built on safety and respect. Sarah has undertaken extensive additional training in Emotion-Focused Therapy (EFT) through the Australian Institute of Emotion Focused Therapy and continues to participate actively in this community. She has found that attending to and reprocessing emotionally painful past experiences has a liberating and transformative effect on previously debilitating and stuck behaviour patterns. Sarah enjoys assisting her clients on a pathway of true healing, supporting them as whole and capable individuals, not simply a cluster of symptoms. Sarah also uses a variety of evidence-based cognitive interventions to adapt to each client’s support needs and strengths including CBT, mindfulness, and ACT. 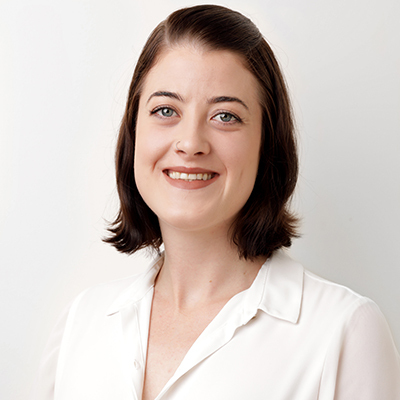 Sarah is available for appointments from our Camberwell location on Mondays and Thursdays. Reflection Psychology’s five clinics and comprehensive team of psychologists with a broad range of specialties mean we can schedule appointments at times that suit our clients, with minimal waiting. You may be eligible for a Medicare rebate for your visits to Reflection Psychology or able to claim from private health insurance, depending on your policy cover. We have psychology clinics in five prominent locations – Melbourne CBD, Sandringham, Camberwell, McKinnon and Fairfield – as well as flexible opening hours, and we’re open six days a week. Reflection Psychology comprises a team of registered and highly qualified psychologists, including some of the nation’s leading therapists in their fields.